Broasting a unique, space-saving design, the Panda Compact 1.6cu.ft. 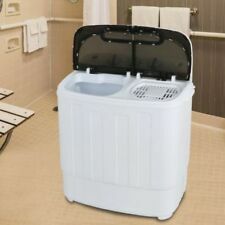 Portable Top Load Washer makes your laundry easy and simple. Its sturdy and quiet design accommodates up to 11 lbs. 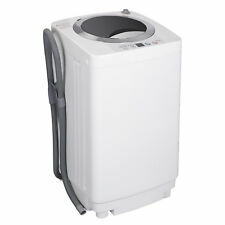 of laundry in its stainless-steel drum which is durable and resists rust and chipping. Wash Programs:Quick Wash, Cotton, Synthetic, Delicates, Soak, Hand Wash, Mixed Colours. 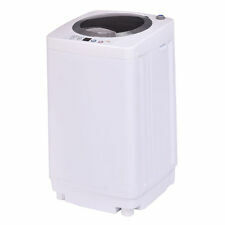 Portable washing machine plastic material. 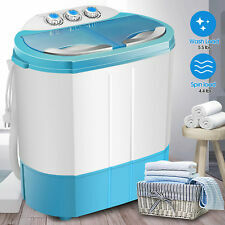 Wash spin cycle can run -5 minutes. Related Spin Capacity: 1.5kg. 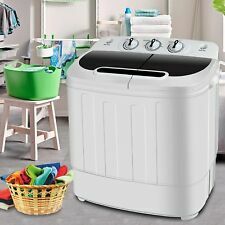 Washer Size: Portable. 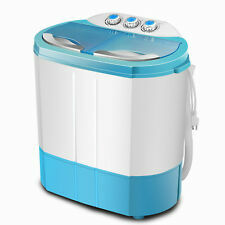 Portable Mini Compact Twin Tub Washing Machine. wash, 5 min. spin Spinner Power： 110W. Spinner RPM: 1300. When you turn on the water you have to stay by the washer to watch it because it does not stop filling with water by it self. 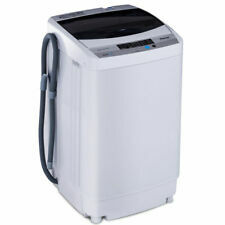 Portable Washing Machine TG23 - Twin Tub Washer Machine with Wash and Spin Cy. Condition is Used. Shipped with USPS Priority Mail. ★Drain out Easily - This machine features a drainage tube which allows you to easily drain out dirty water. 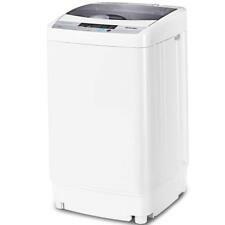 Capacity:Washer: 9 lbs, Spin Cycle: 2 lbs. Over all sizes: 14.17 x 14.57 x 22". 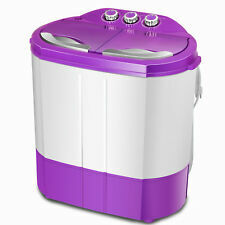 Portable Mini Compact Twin Tub Washing Machine. When you turn on the water you have to stay by the washer to watch it because it does not stop filling with water by it self. 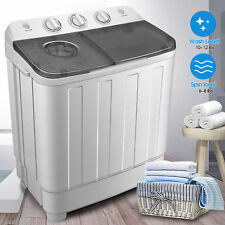 Rated Washing Capacity: 11 lbs. How long does it generally take to process an order?. How Long Does It Generally Take To Process An Order?. IN THE BOX. The manufacturer will generally repair or replace the item so long as it is under warranty.